No, the earth doesn’t spew fire. It doesn’t burn. But magma seethes and bubbles deep within our planet, generating some pretty HOT STUFF! Volcanic activity creates new land. And volcanic formations, like fumaroles, hot springs, and geysers, seem almost alive! They sputter puffs of steam, gurgle with superheated water, and belch smelly clouds of sulfur dioxide. These dynamic forces of nature remind us that our earth is constantly in a state of change. Earth’s Fiery Fury explains how these formations work and how they affect our lives. 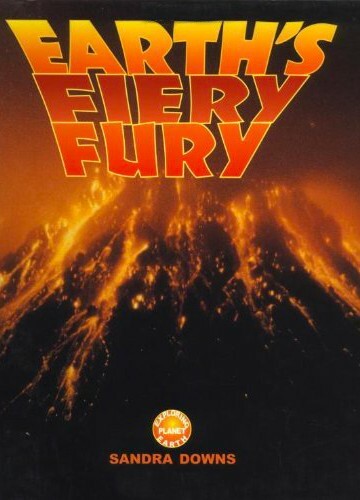 In 2001, Earth’s Fiery Fury was named an Outstanding Science Trade Book for students K-12 by the National Science Teachers Association and the Children’s Book Council. It is still reprinted in paperback by the New York City Department of Education for their students.